D’Youville College Board has selected a new President, Lorrie Clemo. Please keep Lorrie and all at D’Youville in your prayers during this time of transition. The Grey Nuns of the Sacred Heart thank the Board and the search committee—which included Sister Mary Karen Kelly, GNSH—for all they’ve done to seek out a candidate who will continue to promote and extend the mission of St. Marguerite at D’Youville College. Dr. Clemo will succeed Sister Denise A. Roche, Ph.D., a Grey Nun of the Sacred Heart, whose 37-year tenure ended with her retirement on June 30, 2016. “I am truly honored that the D’Youville Board of Trustees has placed its faith in the promise of my leadership,” Dr. Clemo said. “I was drawn to D’Youville because of its similarity with my own roots in Catholic education, and its mission and identity as a value-based and caring community that offers a student-centered place of learning with deep connections to the community. I look forward to building on D’Youville’s tradition of excellence and strong reputation as a driver of program innovation where students have a chance to explore ideas, themselves and the world. 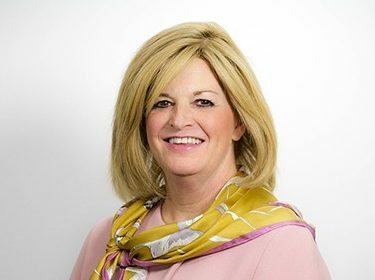 “I am absolutely thrilled and humbled to be joining the ranks of D’Youville’s dedicated leaders, most especially Sister Denise, known for tirelessly advancing the College’s time-tested mission of offering students the tools necessary for a lifetime of learning, fulfillment, and service as compassionate global citizens. “I am thrilled that Lorrie will be the next president of D’Youville. She is exceptionally well suited to lead the college into the future,” said John P. Amershadian, chair of the D’Youville College Board of Trustees. At SUNY Oswego, Dr. Clemo was tenured and promoted in 1993, and took on administrative responsibility in 2000, serving for six years as Director of the Public Administration & Policy Program and for two years as Assistant to the President for Special Programs & Campus Communications. She spent a year as an American Council on Education Fellow at the University of Rochester and in 2008 became Chief of Staff and Deputy to the President. She was appointed interim Provost and Vice President of Academic Affairs in 2010 and named to the permanent role in 2012. Dr. Clemo will be installed as D’Youville’s 15th president in January 2017.